The most awaited royal wedding of Prince Harry and Meghan Markle (now the Duke and Duchess of Sussex) is over. But, we are still hungover! Everything about the wedding was special. However, the highlight was Meghan Markle’s wedding dress. Her minimalist, yet elegant wedding dress left us spellbound. Minimalist Wedding Dress is now Trending, thanks to Duchess of Sussex! Since this was a royal wedding, fashion enthusiasts were expecting to see tons of opulent laces, organza, and appliques. But, they were taken for a surprise. Unlike the earlier royal brides, Ms. Markle’s dress was minimalist. The dress featured three-quarter length sleeves, a simple silhouette, bateau neckline and pristine lines. 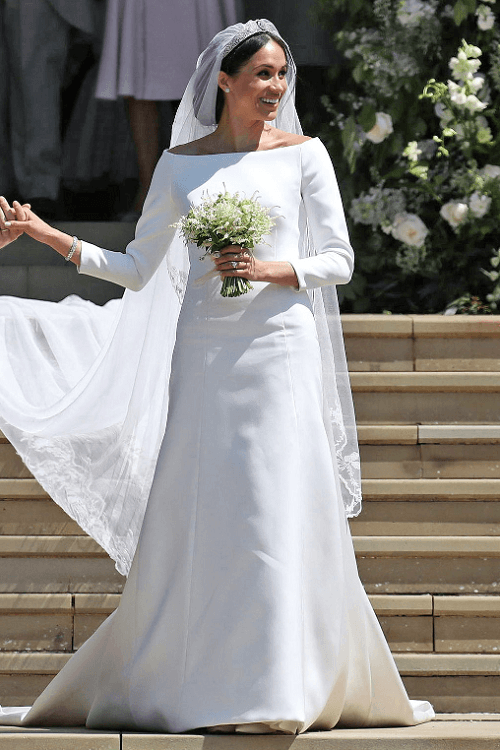 In short, Duchess of Sussex created a fashion statement with her minimalist wedding dress! Minimalism now stands for modernity, sophistication and feminine grace. 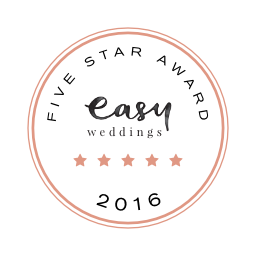 So, if you like simple and elegant dresses featuring clean lines, uncomplicated aesthetic and excellent craftsmanship, some of these minimalist wedding dresses will sweep you off your feet. 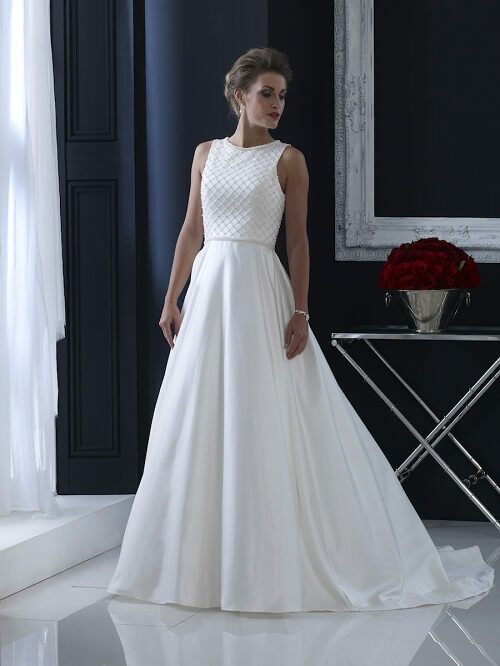 Bluebell by Romantica is a simple and slender chiffon dress that features a pleated bodice and crossover detail, accentuating the sweetheart neckline. The gown is embellished by a beaded applique at the waist with flowing chiffon skirt with a zip up fastening at the back. If you are looking for a dress that exudes a sense of royalty and sophistication but is not too ornate, this Girona gown by Opulence is best for you. Designed in the lovely Grecian style the wedding dress features a flowing chiffon skirt. The soft frills in the bodice give it very contemporary and chic look. The beautiful applique waistband and shoulder beading add to its charm. Regal and minimalist satin gown has intricate beadwork in the bodice. The bodice is decorated with pearls, beads, and bugle beads. The exquisite beadwork on the waist and neckline adds a charm to the dress. Dressed buttons on back seam make it look chic and contemporary. Contemporary and Classic, this brocade gown by House of Nicholas is a fine combination of modernism, elegance and femininity. The ballet-length gown has a deep V and a high back neckline. A band on the waist with bow and tails subtly accentuate your curves. Whatever your style is, a minimalist wedding dress will make you look ethereal and chic without going overboard. You can see more such minimalist wedding dresses on our site: https://alwaysandforeverbridal.co.uk/. 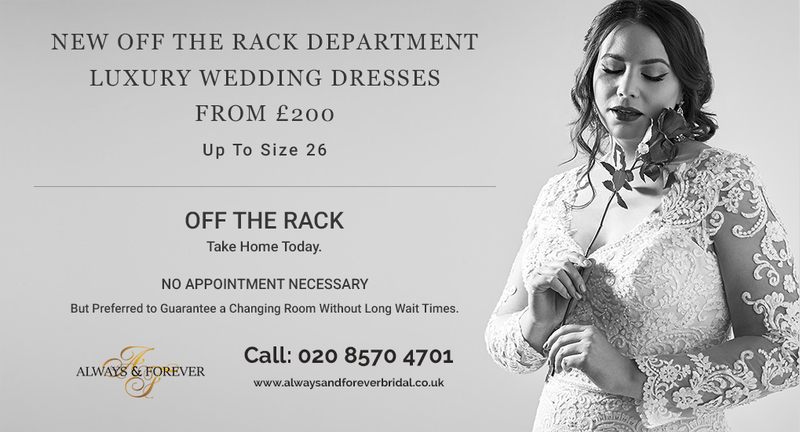 You can also visit our bridal shop in London.